Exculpatory evidence can instead be presented at trial. Corsi, a former InfoWars correspondent, sent the tweets after Assange held a highly-anticipated press conference in which he failed to produce Clinton-related documents. Assange had given several interviews over the preceding months in which he claimed that WikiLeaks would drop information that would be damaging to the Democrat and her campaign. Pro-Trump operatives like Corsi and Stone salivated over the prospect and speculated about what information WikiLeaks would dump. Corsi also sent a text message to Stone after the Assange press conference that matches up with his tweets from the same time period. “Assange made a fool of himself,” Corsi wrote to Stone on Oct. 4, 2016. Stone, who provided the text to TheDCNF, said it provides further evidence that Corsi did not have an actual link to WikiLeaks. The special counsel wants to find out whether Corsi and Stone had a direct WikiLeaks contact who previewed the stolen emails and whether they informed Trump or his associates about the forthcoming release. Stone made public comments and posted tweets of his own that showed that he had some insight into WikiLeaks’ plans. But he claims he did not know the source or content of the WikiLeaks releases until the group posted the first batch of Podesta documents. 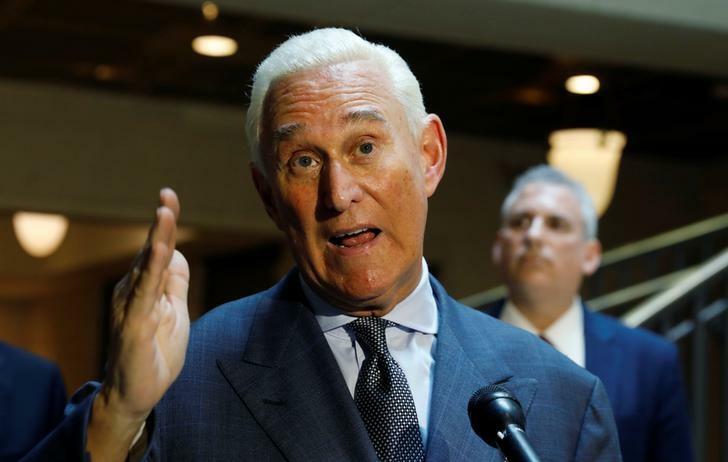 Instead, Stone claims that a left-wing comedian named Randy Credico was providing him with vague updates about WikiLeaks’ plans to release anti-Clinton information. “Julian Assange has kryptonite on Hillary,” Credico texted to Stone on Aug. 27, 2016. “Hillary’s campaign will die this week,” he wrote on Oct. 1, 2016. Credico suggested in some text messages that his WikiLeaks contact was a lawyer for the group who he called one of his best friends.